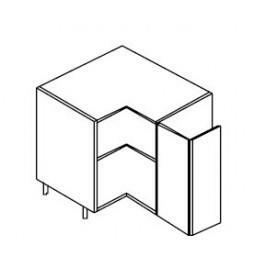 Hi-Line Corner Base Unit, 900x900 x 720mm high. Requires 2 doors 715mmx313mm to suit bi-fold hinges. Includes 1 fixed shelf, PVC edging, BLUM Clip on Hinges and adjustable legs with sockets.